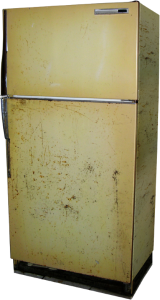 Did you know that thanks to advancements in insulation, a refrigerator is 3 times more energy efficient today than it was 20 years ago? And that a basic beer cooler now keeps ice frozen for several days? Insulation is also one of the most effective ways to achieve a high performance home since it helps create a tight building envelope. This post is a resource to those home builders who choose to differentiate themselves by promoting high performance home building. A beautiful home and location gets buyers’ attention, but comfort and energy efficiency is what will define you as as a builder. Smart builders know the importance of a well-designed building envelope with proper insulation. Regardless of the climate or region in which you’re building, or the type of structure, you want a well-conceived and detailed solution to meet (or exceed) energy codes and provide added value to the homeowner…without the hassles. How well the building envelope is designed is the difference that prevents the home from having issues down the road with energy efficiency, air quality and living comfort. It helps you build the home right the first time. The “prescriptive” path is the way installed insulation has traditionally been specified since the 1940s, but there are many challenges and areas of concern. Boosting performance using the performance path, however, is what we focus on. It means knowing what product will actually improve performance. For loose fill insulation, we need to identify areas that may not be accessible once drywall is hung, vertical walls (knee walls) or areas that are sloped. All these areas will require batt insulation prior to drywall being hung (often referred to as pre-batts.) Know that a vented attic must breathe and will require baffles around the perimeter to allow air to enter through the soffits. If batt insulation is installed in direct contact with the roofing sheathing, you will need to install baffles first – this allows the attic to breath and prevents condensation. High performance home products such as foam insulation address much more than fiberglass or conventional insulation. Spray foam is air impermeable so it can be applied directly to the underside of the roof deck without any concerns of condensation, allowing us to capture energy normally lost through the attic and use it to keep the attic within five to ten degrees of the living space. Due to both open and closed cell foams’ high performance, we can reduce the R-value and move the building envelope to include the attic and create a more energy efficient building. A conditioned attic protects AC equipment during harsh weather conditions and reduces heating and cooling costs. It also protects your home against moisture, noise, dust, airborne pollutants and unwanted pests. It greatly outperforms much higher R-value conventional insulation. Ignition Barrier is required in the attic when you are installing open cell foam, have 30+ inches of clearance in the attic, and the attic is larger than 30sqft. Thermal Barrier is required in the attic when the area is exposed to occupied space or if the area is used for storage. In order to avoid a job going over on labor and material, we need to collect specs on framing spacing, depths (2×6 or 2×4 will determine the thickness of a fiberglass batt), quantity of material that will be sprayed into a cavity (foam or BIBS) and type of framing material (metal or wood will determine proper attachment). Fiberglass batt insulation is still the most widely used insulation for exterior walls to create a high performance home. As codes started recognizing the importance of the building envelope, what was once common place is now not accepted in many markets. Since air moves freely through fiberglass, any voids or gaps will not only hurt the performance of the home but could also lead to moisture accumulation. We can create a better performing wall with fiberglass by precisely cutting in the material around electrical boxes, plumbing and electrical wires. Because spray foam is applied as two liquids it fills all gaps and voids as it reacts filling the entire cavity and because foam is an air barrier we can install only 3.5”s in a 5.5” cavity without any concern of lost performance. In several states, code is now requiring a tighter building envelope that must meet blower door criteria. When using air permeable insulations such as fiberglass and cellulose we must use applications to create an air seal. By sealing all the penetrations, we improve performance, reduce the risk of moisture accumulation, and extend the life of your insulation. A lot of water can move through a one inch hole in a day vs. having to diffuse through materials in the same time and just one of the reasons why air sealing is so important. Rim joist and band joist are two of the largest building failures across the country. If these areas are not properly sealed from the exterior they can lead to moisture accumulation and mold issues throughout the home costing thousands of dollars to correct. We always recommend air impermeable insulation or air sealing in these areas. 3.5” of closed cell would be the best solution in all climate zones. Anytime there is living space above a garage it is highly recommended to air seal between the two. Carbon monoxide moves freely through many materials including drywall which could lead to air quality issues for those in the conditioned space above. Closed cell foam would be the best solution in all climate zones. Builders and home buyers are generally correct when they think insulation is all about energy efficiency, but not all insulations are created equal. Spray-foam insulation can help increase structural integrity in hurricane-prone areas and provide significant R-value to areas where regular fiberglass insulation is difficult to install. Foam-board sheathing is also an excellent insulator and can be used outside the foundation walls of a basement or on the inside walls of a crawl space. Because foam board is also a vapor barrier, if it’s installed snuggly with joints properly taped and caulked, it can work well on interior walls as well. But insulation shouldn’t be considered only for walls. Insulated ducts greatly reduce heat loss and can help reduce the size of the HVAC equipment needed for the home, which can save the customer money during construction or retrofit. Insulating hot-water lines helps with efficiency and also means hot water gets to the tap faster. Properly placed and installed insulation almost always cuts down on waste, improves comfort and qualifies the homeowner for significant energy-efficiency rebates. A spray foamed home’s energy cost is anywhere from 40 to 60% less of that of a home insulated code. As a result of this proven improvement, lenders now offer Energy Efficient mortgage programs across the country that allow the customer to borrow more money to build a more energy efficient, high performance home. This raises a monthly mortgage bill but saves much, much more on energy costs and extends the life of AC equipment, without ever requiring re-insulating. There’s a big difference between meeting codes and building a high performance home that exceeds code requirements for insulation. Your insulation contractor is the difference. Our local experts would welcome the opportunity to bid your next project and show you the difference the details make.